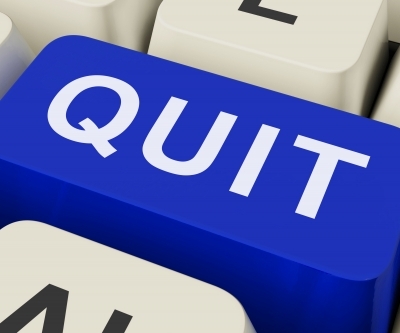 Having made the decision to quit your workplace, maybe because you feel uncomfortable working there or because you have another much better job opportunity, it’s time you start preparing your letter of resignation to care your personal image with the company in which you work. This decision is complicated to take. The idea of doing good or bad is always hanging our heads because we have become accustomed to the things we did in our work so the change we will have on our lives will bring feelings of anxiety and fear. But you must not forget that change is always good and especially when we learn. Also it is a good choice of job you’re going to go, so it will not be in vain. Once you’re sure what you’re doing and start writing your resignation letter is not good you to make the company to understand that you are never going back to work with them, by the contrary you have to clear the fact that it is a possibility of returning. It is recommended that you notify the company two weeks before you leave your job, because you have to finish all possible slopes and give the company the necessary time to seek a person for your position. This type of behavior will give a good picture of you and will demonstrate that you’re not irresponsible, rather than you are grateful for being honest when making your decision to leave. The reason for the present is to let you know my resignation from the position of Business Manager, in which I have been laboring since October 2010. The reasons why I am retiring from the company are personal not being related to the organizational climate neither to my work which has always been my passion all along. I would like to inform you that I will leave the company this June 15th, 2013. I am very grateful for the huge opportunity you gave me to work in your organization, one of the market leaders. Thanks to my colleagues and my superiors I could learn a lot and gain a lot of experience in my professional career. I wish much success to you and the organization that has been the best place to work. I leave with much gratitude and respect. We expect that this sample of letter of resignation will be useful for you can write your personal letter, be always respectful and grateful, so if something bad happens in the other company, you have the opportunity to return. Also, it is always good to have a direct conversation with your boss for him to feel respected, so you can have the door open to a possible return. Also remember that thanks to your previous job you learned and earned experience. Good Luck.